AnShan Ying Yat Trade Co., Ltd and AnShan HongMing Metallurgical Machinery Co., Ltd is a comprehensive group corporation. It is a large-scale company who integrates manufacturing together with trading. Our company has its own right to import and export for machineries. The advantages of our product include: Feeding equipment, conveying equipment, vibrating screen equipment, the size and type of our products is varied, with good quality and bulk capacity of manufacture, our products are sold over 28 provinces, cities and municipalities in domestic market and exported all over the world. We are a corporate enterprise, who integrates research and development, manufacture and marketing, we are mainly in heavy-duty equipments, including mining machinery of Large and medium crusher series, crushing equipment, grinding equipment, sand making machine, magnetic separation machine, sand washing machine, drying machine, machine-made sand machine and so on. The crushing equipment mainly includes jaw crusher, baffle crusher, hammer crusher, double-roll crusher, impact crusher and hydraulic cone crusher. Jaw crusher is used for the department of metallurgy, mine, chemical industry, cement, construct, refractory material, ceramics and so on. 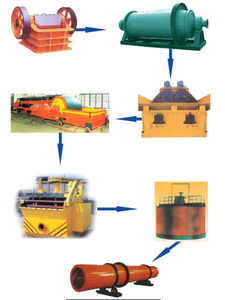 Jaw crusher is also used for secondary crushing and fine crushing kinds of medium-hard ore and rock. Jaw crusher is not only used with beneficiation equipment and sandstone equipment, but also used alone. Jaw crusher divides into secondary crushing jaw crusher and fine crushing jaw crusher. Baffle crusher is widely used for the stone production line of hydropower industry, freeway industry and so on. Hammer crusher is used for crushing kinds of mineral of brittleness material. Hammer crusher is mainly used for the department of cement, mine, coal dressing, generation, chemical industry and building material. Beneficiation equipments include coal mill, cement grinding mill, ball mill, energy saving ball mill, magnetic separation machine, flotation machine, table, elevator, agitation vat, river sand magnetic separation machine, sand-rock magnetic separation machine, grate ball mill. Drying equipment includes rotary kiln, coal slime drying machine, rotary dryer, straw drying machine, corn drying machine, mining drying machine. Since the establishment of our company, the enterprise applies modern management system to precision work, innovates independently and collects many technological elite; It adopts computer informatization inside the office, technology adopts microcomputer management, CAD and CAPP technology used in product development and process design. We have equipments of machining, forging, rivet welding, carburization heat treatment and so on. At the time of our own development, we also take special attention in long-term cooperation with home and abroad scientific research units. We imported domestic and overseas advanced technology, process and test bases, so as to develop new production and promote new technology. Our company insists on "survive on the basis of quality, develop on the basis of the credit", we expand the market, give service to the clients and get good social benefit and economic effect. We have got ISO9001-2000 quality certificate, our products have an active market at home and abroad for many years and get high praise from our customers. We can provide clients with a series of services from designing, manufacturing, installation, debugging to trial production, new and old clients are welcome to go ahead with us hand in hand. If you are interested, pls let us know.